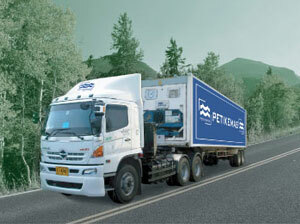 Petikemas offers optimized cross border supply chain solutions in Thailand and Malaysia. Awarded ISO9001:2008, our team of enthusiastic professionals understand the requirements of customers whatever tha challenge may be. Petikemas operated regular Rail Land Bridge between Padang Besar (PB) and Port Klang. Customers can choose to pick up the containers either at Multi Modal rail terminal at Padang Besar or our container terminal at Songkhla (SRS) located in front of Songkhla port. Our services also include door to door delivery from our distribution center in Shah Alam. We can assure that our rail service is faster, more cost effective, more reliable and safer than by road. With our warehouse in Bukit Kayu Hitum, customers have option to use our services to any destination in Malaysia. 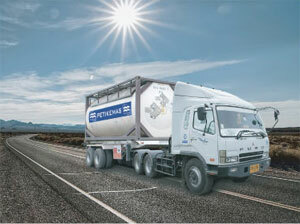 We can make sure that the cargo can be delivered in time with our dual mode of transport either rail or trucks. Our services in Thailand is extended by our trucks from PB to other locations such as Songkhla, Bangkok and Laemchabang. 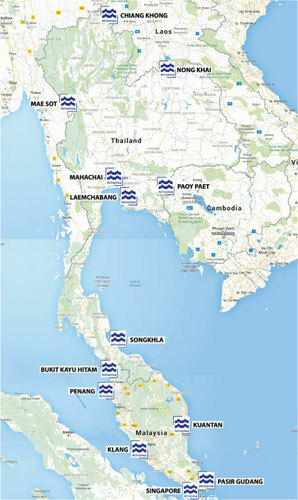 The cargo may transit Thailand to neighboring countries such as Cambodia, Myanmar, Laos and even Southern Inland China. We have our own dry/reefer containers and ISO Tanks to provide as the customers requirement. Our staff are well trained for special cargo such as ISO tanks and refrigerated containers logistics. We have in-house Maintenance & Repair teams to ensure our equipment are always in the best condition.